CALLING ALL MEZCAL LOVERS! Don't miss this exclusive chance to purchase artisanal mezcals currently unavailable for purchase in Arizona! 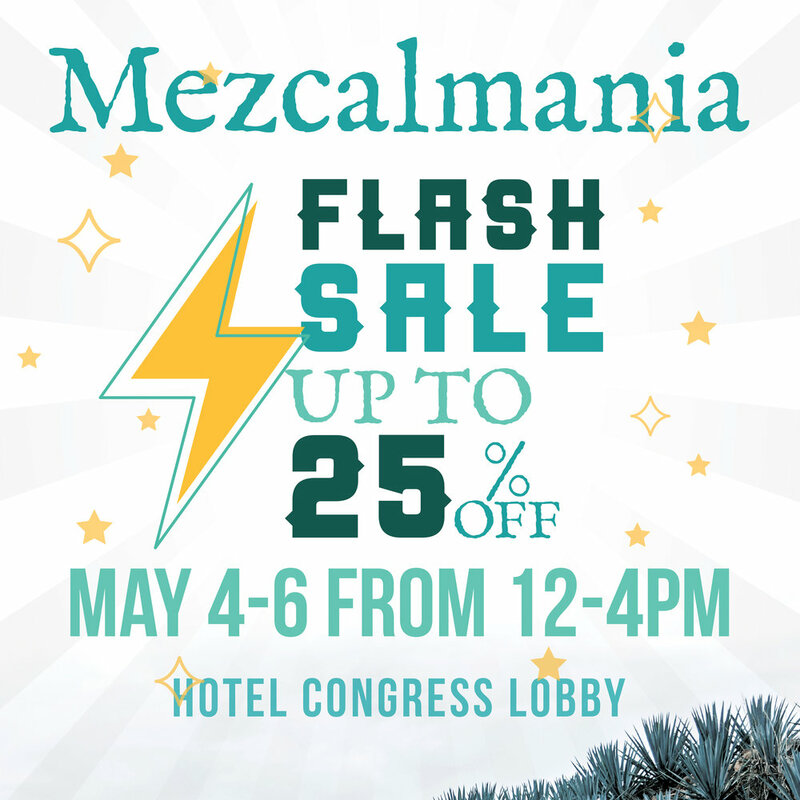 The Mezcalmania Flash Sale takes place in the Hotel Congress lobby from May 4th to May 6th, 12-4pm. Learn more about these artisanal mezcal producers in our previous blog post, and mark your calendars for this rare opportunity!